Last week we talked about some of the most popular baseball brands on the market. Those companies’ baseball uniforms are great options for leagues, schools, and teams that have the money to spend on high-quality, highly customized baseball apparel. Unfortunately, not every AD or manager is blessed with the budget of John Henry. Most ADs and managers have to make difficult decisions about their baseball teams’ uniforms, balancing the need to stay under budget with the desire to satisfy their ballplayers. Consequently, people charged with supplying youth and scholastic baseball teams with their uniforms are usually looking for the most affordable ones they can find. Most Little League and high school coaches opt for the stock options with minimal customization because of their low prices and quick turnaround - most stock uniforms can be delivered to teams within two weeks. Here are a few companies that qualify as “budget brands” and can provide teams with cost-conscious uniforms. Augusta is the quintessential budget brand. The company can outfit your entire uniform—jersey, pants, stirrups, and hat—at a low price. Augusta’s quality may lag behind first-rate Under Armour, Adidas, and Rawlings apparel, but the brand is a good choice for any AD or coach who is looking to fulfill all of their uniform needs in one place. Sport-Tek is perfect for T-ball and informal leagues. The company only manufactures T-shirts and hats, so any squad looking for matching jersey pants should probably look elsewhere. If your team needs a simple design on a hat or T-shirt, Sport-Tek is the way to go. Majestic is a truly unique baseball company. It is well-known in baseball circles because of its license with Major League Baseball, which allows it to sell customized gear that utilizes the logos of major league teams. This is a major selling point to youth and scholastic baseball teams. Young athletes love mimicking the pros, so wearing a famous logo on their jerseys and hats is always well-received (unless it’s a rival of the hometown team, of course). Majestic’s deal with the MLB means that many of its products are quite expensive (a replica Major League Baseball jersey can cost upwards of $100), but the brand also offers plenty of affordable options. Cotton T-shirts are only about $15; adding the logo of an MLB team to this T-shirt comes at a minimal cost, yet it will make T-ballers and Little Leaguers feel like a million bucks. With all of these options, it can be overwhelming to have to choose your team’s uniforms. No matter what your school, league, or team’s financial situation is, you should consult with a team dealer in order to figure out which brands work best for your budget. Team dealers are very familiar with these companies, and they can offer you discounts on bulk purchases and future orders. 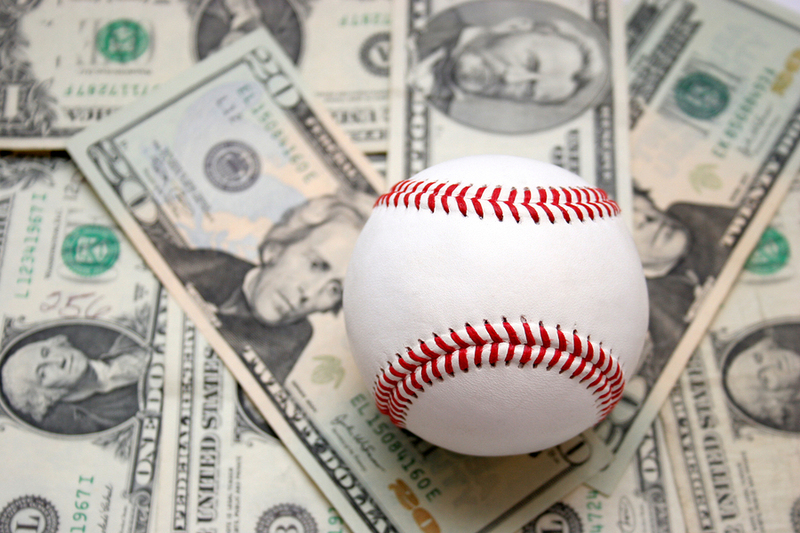 When you use a team dealer, saving money doesn’t mean sacrificing your team’s style. If you're in the market for cheap baseball uniforms, request a quote on one of our packages, or mix-and-match your own. Mention promo code tripleplay to get a free mock-up and art set up.